Look, I don’t really have an intro. Here’s Illidan. Let’s talk about Blizzard. Q4tQ: Off topic! What’s your fav tv show these days? How are you spending your non Blizzard time? I am not watching TV. I haven’t watched TV in a long time, save for catching a few episodes of Star Trek Discovery which I thought was pretty good. I’m mostly playing Blizzard games, but aside from those, I spend a lot of time in Fallout 4 because I love the way settlements work and I love building my own armory and weapons display. I wish WoW would let me put up armor stands and weapons racks. Q4tQ: Do you think blizzard will up the maximum number of battle pets we can have in BfA? I’m currently sitting at 998 of 1000. They have already done so, in fact. If you get the Battle on the Broken Isles achievement, completing thirty World Pet Battle quests, it awards the Pocket Pet Portal, an on-use item that permanently raises the cap on how many Battle Pets you can have to 1500. So yay! But it’s not likely they’ll do so again, at least not for a while. Q4tQ: I bought recently the WoW sheet music anthology book and I’m having a blast learning Invincible, tavern songs and another amazing tunes. However, the book only covers up to WotLK because it was released in 2010 and afaik no book has been released since. I’d pay good money for a book containing sheet music from Cataclysm onwards or from another games (I’d love a Diablo one) and I find the lack of Blizzard music related merchandising disturbing (soundtrack records don’t even have all the music from a given expansion). What kind of non-existent (yet) merchandising would you like to see from any Blizzard franchise? Well, I’m a little bummed we’re not going to get a big art book with the Battle for Azeroth collector’s edition, because I love all that sweet, sweet concept art. I think I’m a bit saddened that there isn’t more Overwatch tie in media — no TV show or movie or anything like that. I also wish that there were Overwatch toys that weren’t Nendroid — those are cute, but I’d like actual action figures, not just super cute stuff and expensive figurines. Tie in novels as well as the comics they do from time to time, and maybe even a plush Winston doll. Also, I’ve wanted Blizzard to make an Ashkandi for years and years. They made Frostmourne and the Doomhammer, but neither works for me like Ashkandi does. The Alpha is still much more concerned with your power in the content you’re leveling through than it is going back and soloing old raids, so I’m not surprised it’s taking them a while to go look at how that works out. I ran a couple of old raids on the Alpha and had a hard time determining how well I was doing because of the gear deflation, but it didn’t feel disastrous to me. I figure they’ll come to terms with the relative power drop from the lost Artifact in the balancing pass when they get closer to release. That’s still about four months away. But if they don’t keep in mind that the Artifacts provided a lot of power and adjust for it? Yeah, it’ll be bad. I expect that level 120 characters will be soloing some Legion content by mid Battle, but that’s all depending on them getting the balance right on characters post-Artifacts. So I didn’t start playing wow until late BC, and didn’t really get into the lore until WotLK. So I come asking, what was the major faction conflict in Vanilla and BC (not counting battle grounds)? It seems to me that we didn’t really get into faction conflicts until the Lich King came a knocking. 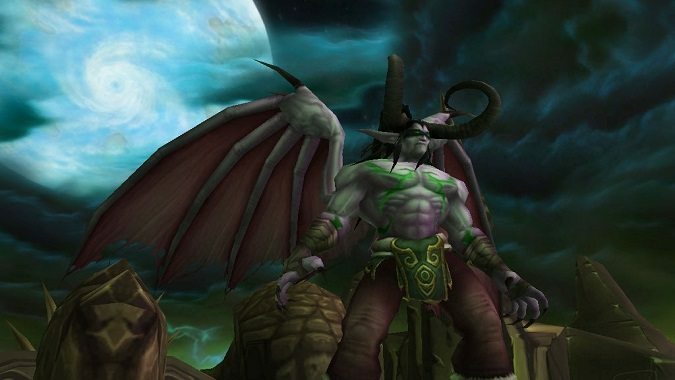 The faction conflict was only starting to heat up again in vanilla — the whole Four years have passed since the mortal races banded together intro to the original World of Warcraft cinematic was all about how, after we took a breather following the Legion’s defeat, the Alliance and Horde were at odds again. Also, as an unrelated aside, how cool is it to hear Debi Mae West narrating that? In general, the Alliance and Horde fought in places where they had reason to fight — places like the Tarren Mill/Southshore conflict were canonical as well as places for players to PVP before battlegrounds were much of a thing. The Drums of War patch, 1.12 definitely implied that after the Might of Kalimdor saw the Horde and Alliance work together against C’Thun, things were back to fighting between the two factions. There were clashes in Ashenvale, the borders of the Plaguelands, and even Feralas. It definitely heated up in Wrath from the uneasy detente of Vanilla and BC, but the two factions were canonically fighting pretty much the entire time.